Colnago Super is for sure one of the most succesful racing bikes in history. It was released in 1968, produced for more than 20 years, was Colnago’s top model of late 1960 and 1970s and became a legend with Eddy Merckx ridding for Molteni Team. 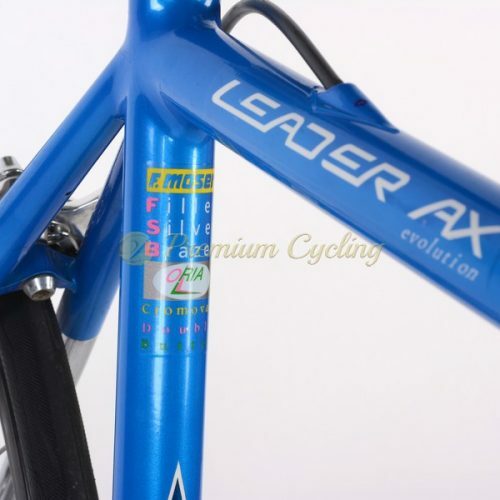 The Super was designed for professionals riders and thanks to Columbus SL tubing it was a synonym for stiffness and lightness. Eddy Merckx ”The Cannibal” was born on June 17 1945 and was a professional cyclist from 1961 to 1978. Cycling fans consider him to be the most successful cyclist in history, with 525 victories to his name. He won the Tour de France and the Giro d’Italia five time each, has won all of the top events except for the Paris-Tours, has won the Vuelta a España, has won the World championship as both a professional and as an amateur, and has broken the world hour record. 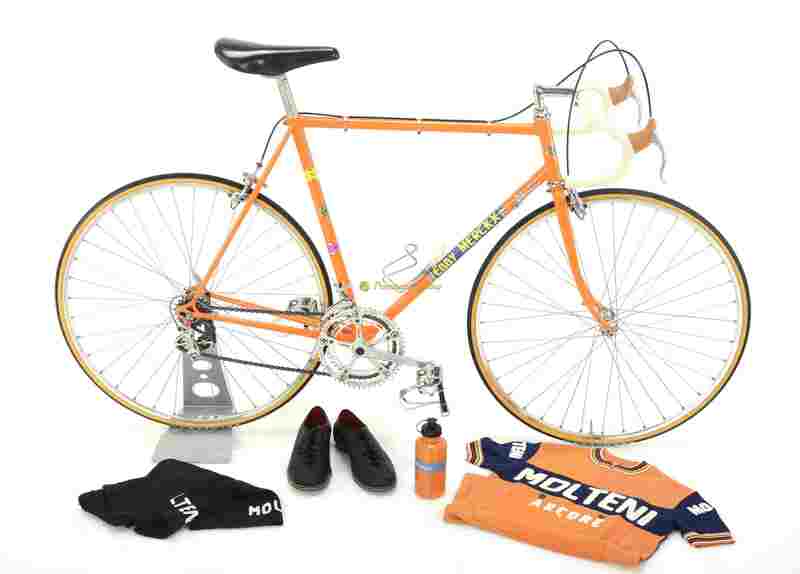 The Cannibal joined Molteni Team at the end of 1970 and stayed with them for long 6 years. Proudly presenting this iconic racing machine from Cambiago which dates back to 1972/73. 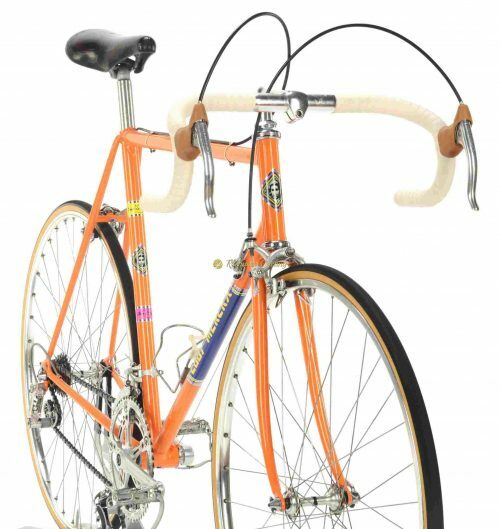 The frame is work of art, shinning in famous Molteni Team orange paintjob, made of Columbus SL tubing and featuring the perfection and attention to details to providing the best performance you might expect from early 1970s steel machine. Only the best parts are good enough for this racing machine: Campagnolo Nuovo Record groupset, 3ttt cockpit, Cinelli Unicanitor saddle. Vintage wool Molteni cycling kit, handmade leather shoes and Eroica watter bottle are included in the price. Simply love at first sight. Ready for L’Eroica event. Condition: The frame was completelly restored and refubrished, no cracks, no dents, not bent. Groupset is in good condition. All parts are working fine.